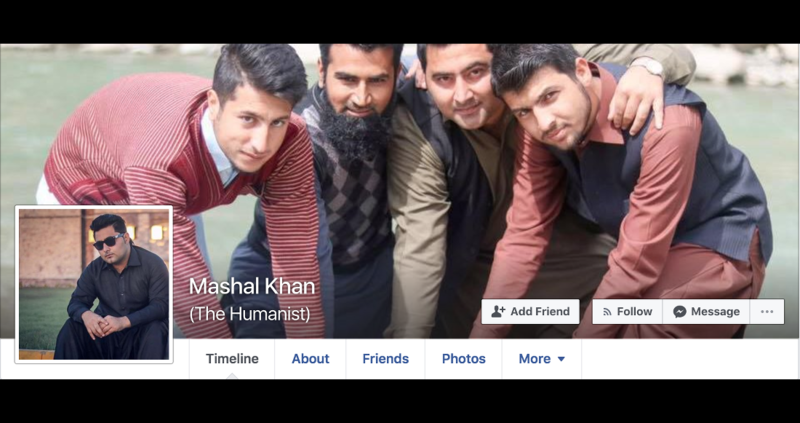 According to very disturbing reports out of Pakistan, Mashal Khan, an activist who called himself “The Humanist” on Facebook and a student at Abdul Wali Khan University in the Khyber Pakhtunkhwa province, was shot and beaten to death by fellow students today after being accused of blasphemy. According to the police, the mob first surrounded [Khan’s friend] Abdullah and forced him to recite verses from the Quran. They started beating him when he was reciting the verses. Police intervention rescued Abdullah, but the attackers then went to the hostel where Mashal Khan was staying. “Mashal was beaten and shot by the mob who died on the spot,” a police officer stated. A video footage apparently shot on a mobile phone showed Khan lying on the floor in a pool of blood surrounded by people beating him with sticks. That not-safe-for-life footage is here and here. An eyewitness at the scene of the incident said Mashal and Abdullah, two Mass Communication students, were attacked because they were believed to be “promoting the Ahmadi faith on Facebook”. The eyewitness said a mob of university students first surrounded Abdullah and forced him to recite verses from the Holy Quran. Although he repeatedly denied the accusation that he was an Ahmadi, the students beat him nonetheless. Remember that Pakistan is a nation where the law says blasphemers may be executed. The murder comes just weeks after two Pakistani atheists, Ayaz Nizami and Rana Noman, were arrested for posting their thoughts about religion on online forums. We are already extremely worried about recently arrested atheists, Ayaz Nizami and Rana Nouman, and the murder of Mashal Khan makes us more concerned than ever. 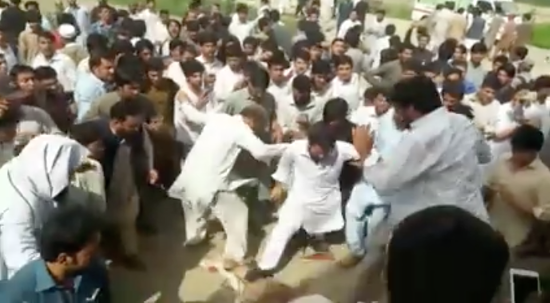 In a country like Pakistan, when the police stand by as mobs of students who are supposed to be interested in ‘higher learning’ commit this atrocity, it is lawless. What if someone try to kill Ayaz Nizami and Rana Nouman in prison? Will the guards stand by? There will be no justice while “blasphemy” is a crime and people feel they can get away with murder. This heinous act by university students against one of their own should appall everyone in Pakistan and around the world. And this kind of frenzy does not come from nowhere. This vile murder must be a wake-up call to the High Court judges, and to all those government agencies and members of the police and other security services who this year have participated in a campaign of persecution against individuals for so-called ‘blasphemy’. They have been whipping up anti-blasphemy hysteria, when they should be interesting in upholding individual human rights. They have been “disappearing” and harassing and arresting innocent people, when they should have been taking action against those who agitate and send death threats against ‘blasphemers’. Pakistan has a social order problem and a blasphemy law problem. These problems will not solved by whipping up a frenzy or by imposing more controls on free expression on religion or non-religion. A tolerant society is not achieved by public officials venting their own intolerance, and facilitating wider public intolerance. It is achieved by upholding freedom of expression, freedom of thought and belief for everyone. It is past time to abolish anti-blasphemy laws in Pakistan and everywhere. When critics of Islam (and religion as a whole) dare to state their beliefs publicly, both hard-line Muslims and government officials believe they should be arrested, jailed, or executed for it. (So much for being a religion of peace.) This won’t stop unless Muslim leaders in those countries speak out in defense of the critics. Governments around the world must also repeal their blasphemy laws in defense of free speech. 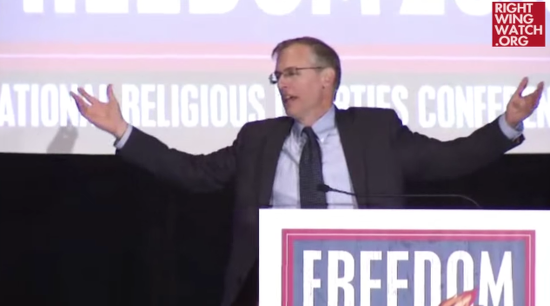 April 13, 2017 Kevin Swanson to Christian Pastors: If Your Kid Says He's Gay, "You Need To Resign"